Betty Makoni, one of CNN’s Top 10 Heroes for 2009, will be one of the speakers for Duke Hospital’s 2011 celebration in honor of the life and legacy of Dr. Martin Luther King, Jr.
Makoni will speak on January 11 in the Searle Center Lecture Hall. Events are open to physicians and staff who work at DUHl, DHTS and PRMO. Each year, CNN honors those who, like Dr. King, use their lives for a greater good. 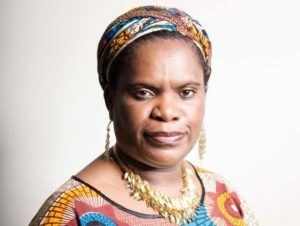 In 2009, Zimbabwe native Betty Makoni was chosen as one of the Top 10 CNN Heroes in the world for protecting children from sexual abuse. Ms. Makoni uses her life experiences to help the seemingly powerless regain their strength and even thrive when all odds are against them.